Watching my two young boys strut around the house proudly wearing their daddy’s shoes has always tugged at my heartstrings. 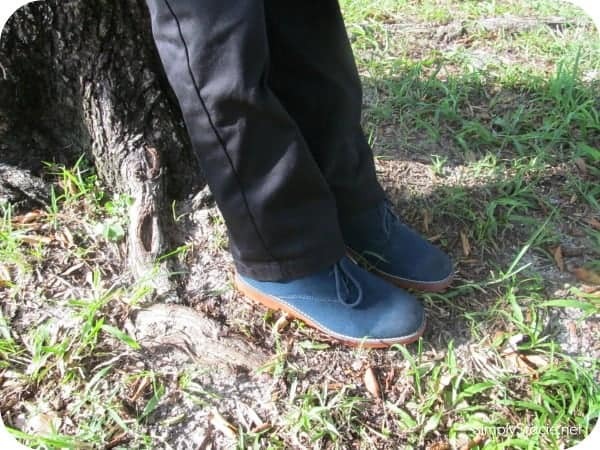 I was very excited to introduce you to a new footwear line from Florsheim, called Florsheim Kids which has designed a fabulous fall collection of boy’s shoes that are constructed to be just like their “dad’s shoes”. 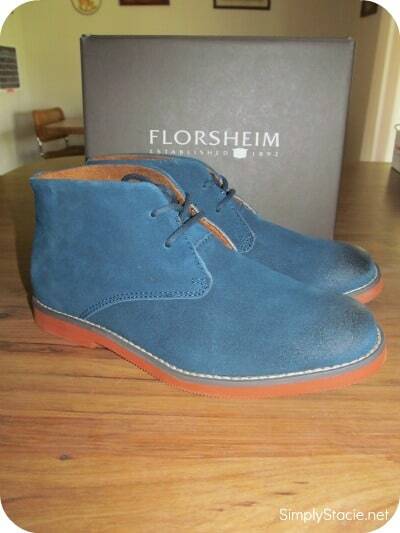 Florsheim Kids is a fashion-forward boy’s shoe line that does not sacrifice durability and comfort. It is crafted with tough materials that will withstand many fun adventures. The 2012 Florsheim Kids fall collection features moccasins, boat shoes, boots, loafers, saddle shoes and wingtips. 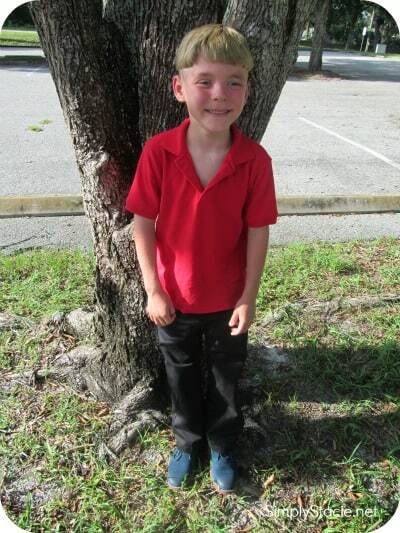 My seven year old son was performing in a singing concert at vacation bible school and he felt very confident wearing his new Quinlan Jr. Chukka Boot ($55). This stylish navy shoe is made from suede and laces up. It has a rubber bottom that is perfect for extra traction. While considered a casual shoe, it is dressy enough that he could wear it for his performance and he looked great! He reports that the shoe is very comfortable and he liked that he could still run around and play when wearing his Quinlan Jr. boot. Are you looking for a specific color? If so, there are several additional colors to choose from including cherry, brown, sand and black. I am very impressed with the quality, durability and style of the Florsheim Kids boy’s shoe line and the price point is right on target for footwear that is designed to look great and last. If you are stocking up for back-to-school wardrobes, I highly recommend visiting the Florsheim Kids website and browsing the entire kid’s shoe selection for fall…..there is sure to be the perfect shoe for that perfect boy! My son would like the Kearny Jr shoes. Qunilan in either black, blue or taupey grey colour. They remind me of the desert boots I had in high school, my mom also had desert boots, so proof that the fashions just recycle. The lakeside ox jr is pretty sweet. Kennet Jr..they are all adorable though! So classic! I like the Lakeside Slp Jr. I like the Getaway Plox junior! I LIke the Kearny Jr. in sand. I like the Lakeside Slip Junior in Navy. Thanks!! I like the Lake Side Oxford Junior in navy. Classic! I liked the Kearney Jr. I like the Brevard Jr. style-dress them up or down-cute! The Quinlan Junior boot in Black looks very nice!